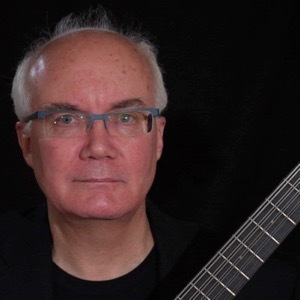 Robert Margo is an accomplished performer on classical guitar, classical mandolin, and renaissance lute. He studied classical guitar with William Newman in Philadelphia and with John Johns in Nashville, and in master classes with Sergio Assad and Manuel Barrueco. He has given solo and duo performances on classical guitar in Nashville and in Boston, and also regularly accompanies singers. On renaissance lute Margo studied with Catherine Liddell in Boston, and taken lessons with Paul O’Dette, Ronn McFarlane, and Nigel North. An avid fan of new music for plucked strings, Margo has commissioned pieces from Clarice Assad, John Goodin, Francine Trester, and Frank Wallace. Twice a prize-winner at the national performance competition of the Classical Mandolin Society of America (CMSA), Margo frequently writes articles on mandolin topics for the CMSA’s quarterly journal. Margo's arrangements for solo mandolin and for mandolin ensemble have been performed by Chris Acquavella, the Baltimore Mandolin Quartet, the CMSA En Masse Orchestra, the Dayton Mandolin Orchestra, the New Expressions Mandolin Orchestra, and the Providence Mandolin Orchestra. In the Boston area Margo performs on octave mandolin with the Providence Mandolin Orchestra and has also played with the Boston Guitar Orchestra.